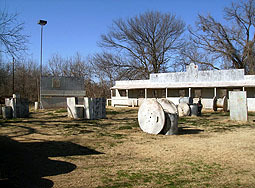 Paintball Paradise is an outdoor paintball field located near Fort Worth, Decatur, Springtown, and Weatherford in Rhome, Texas. 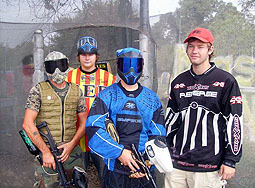 Paintball Paradise is also convenient to Paradise and other cities in this area of Texas. See the chart below for distances and drive times to other cities and points of interest. 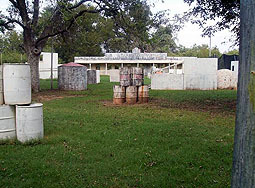 Paintball Paradise is one of the Best organized paintball fields in Texas. It was started and continues to be run by a paintball nut bringing a fun and interesting perspective to create a unique and fun field. 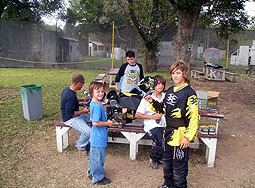 Paintball Paradise is located on 7 acres and consists of 3 courses. 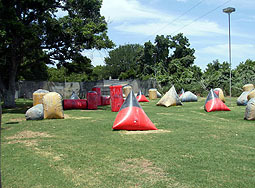 Paintball Paradise also features a variety of course types. You'll find air ball and wooden bunkers . One field even features an old west. 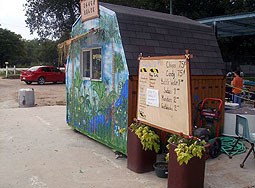 There is also a great pro shop, food shack and great safety zones. 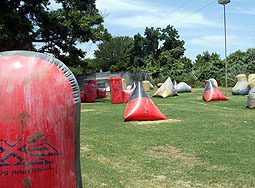 Paintball Paradise features a full survace fill area for both food and compressed gasses. Looking tuff, having fun Kids love to play! Looking for that opportunity to bring the family together? The family will enjoy a day at paintball paradise. You get an opportunity to teach values like teamwork and good sportsmanship while having the time of you life. What could be better? Shoot your boss, you'll find this is the perfect field to do it. 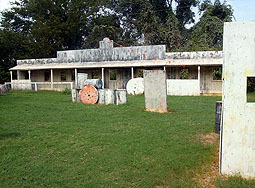 The shoot out field or old west theme area allows for people to face one on one, many on many or any combo in between. It does not take a rocket scientists to see that course lends itself to several interesting types of games. 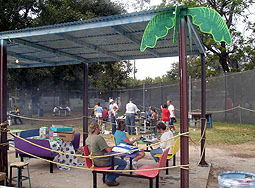 Hang under the palm tree cabin between sets. There is room enough for the family to watch as you lay down the paintball law on your foes. When taking it to the people you can need a place to rest. The safety are at paintball Paradise field is just that area. being close enough to the field to watch rounds out this tropical oasis nicely. Dose that look like fun or what? The old west building is tons of fun and more than a challenge to any who dear to take it. You get your self in but getting out is a whole other story. Allow your imagination to soar and follow your inner child back to the shootouts at high noon. All player beginner though pro will love the simplistic genius way in which this field has been laid out. More pics of this field above. 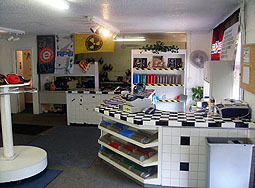 Paintball Paradise is a "Field Paint Only" paintball field (FPO). 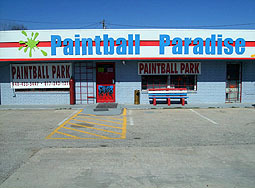 This means that only paintballs purchased from Paintball Paradise on the day of play may be used at Paintball Paradise. For your safety and the safety of others, the consumption of alcohol or other drugs that may impair your judgment or coordination is not allowed before or during your visit. Do not bring alcohol onto the premises. 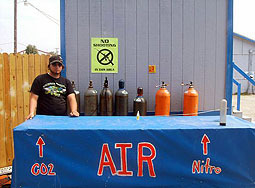 Paintball Paradise reserves the right to eject any player(s) without refund that its employees think may be impaired or bring alcohol or other drugs onto the premises. 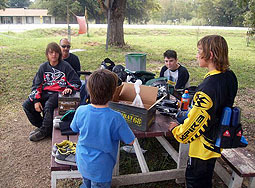 Paintball Paradise is ideally located for people living or traveling in Rhome, Texas.